Preheat oven to 350 F. Combine crumbs, 3 tablespoons sugar, 1/2 teaspoon cinnamon and margarine in small bowl; mix well. Press onto bottom and up sides of 9-inch pie plate. Bake crust 10 minutes. Beat together cream cheese and 1/2 cup sugar in large bowl until well blended. Add eggs, one at a time, beating well after each addition. Blend in vanilla; pour into crust. Combine remaining 1/3 cup sugar and remaining 1/2 teaspoon cinnamon in large bowl. Add apples; toss gently to coat. Spoon apple mixture over cream cheese mixture. Sprinkle with pecans. Bake 1 hour and 10 minutes or until set. Loosen cake from rim of pan; cool before removing rim of pan. Refrigerate. 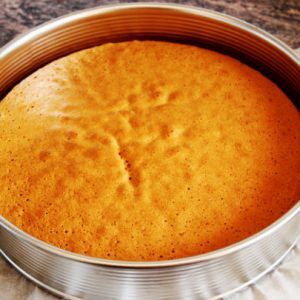 Feel free to comment or share your thoughts on this Vanilla Cream Cake Recipe from Awesome Cuisine.